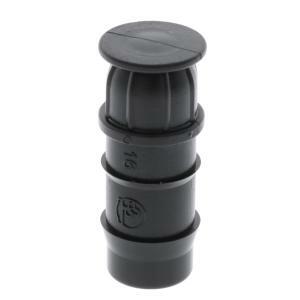 Barb Tubing End Caps are double barbed fittings that provide high retention in low pressure poly tubing making very reliable connections. These can be confidently installed without clamps when matched with quality low pressure poly tubing with corresponding inside dimensions. Operating pressures should not exceed 50 psi. Applications: Low pressure micro irrigation systems.